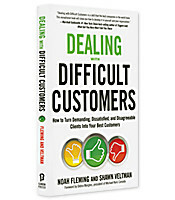 Written by customer service consultants Noah Fleming and Shawn Veltman, who have had vast experience in the challenges of dealing with customers of all types, Dealing with Difficult Customers will show you how to stop using gimmicks and trick promotions to encourage repeat business and instead use more effective alternatives that will please your customers. 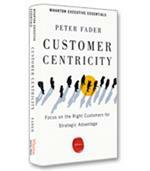 You will also learn what behaviors turn great customers into dissatisfied critics and how to change them. It seems disagreeable clients are not always wrong. “It’s not you, it’s me.” This is the classic breakup line, used by the person doing the breakup. The bottom-line message is, “You did nothing wrong, but I’m walking away.” According to Noah Fleming and Shawn Veltman, co-authors of Dealing with Difficult Customers: How to Turn Demanding, Dissatisfied and Disagreeable Clients Into Your Best Customers, customers have their own version of “it’s not you, it’s me,” such as, “I just found a better price elsewhere,” or, “We’re going in a different direction.” The fact is, Fleming and Veltman write, there’s a good chance it’s you, the company, who is chasing the customer away and not the customer who is being unnecessarily difficult. Clearly there are some customers who are, indeed, irrational, as demonstrated with the authors’ opening quotes of actual complaints (e.g., “We went on holiday to Spain and had a problem with the taxi drivers, as they were all Spanish.”). The best course to follow with these customers is to fire them, the authors write, once it’s clear that they will never be satisfied and are more trouble than they are worth. For many “demanding, dissatisfied and disagreeable” customers, however, the authors urge companies to take a careful look in the mirror. 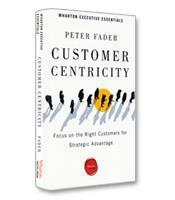 The core lesson of Dealing with Difficult Customers is to break free of this paradigm. 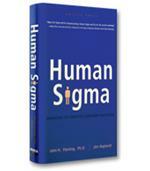 Perhaps the most potent tool for breaking free is a greater awareness of and sensitivity to the customer’s position. Why do customers get angry? In many cases, write the authors, it’s because of justifiable frustration with problems within the control of the company. 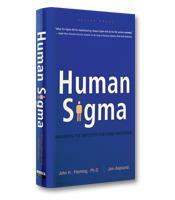 One of the first tools in the book is the “hierarchy of horrors” — a formal process pioneered by FedEx in which executives or managers 1) meet in a room and list the eight worst things their company could do to upset customers; 2) measure how many times these mistakes are made for 30 days; 3) prioritize the horrors from bad to worse; and 4) pick one to start improving immediately. Another important concept for understanding why customers might become unhappy and even irate is the “expectations gap,” which occurs when customers do not receive the product or service that they had expected. The challenge here, the authors write, is to determine first if the complaint is valid. The expectations gap of a customer who didn’t expect the cabdrivers in Spain to be Spanish does not make his complaint valid. If it is valid, the company must then determine the appropriate response, driven by questions such as, How far are you willing to go to resolve the issue? What are the consequences of not responding? In addition to awareness, the authors emphasize the importance of preparedness — of anticipating problems with difficult customers. For example, they urge companies to prepare script books of possible issues and the best responses; to engage in role-playing training, which can help customer service people better appreciate the customer’s point of view; and use internal benchmarking to identify problem areas as well as the bright spots. Written by customer service consultants experienced in the real-world challenges of dealing with customers of all types, Dealing with Difficult Customers is an honest and practical manual for companies that must face the fact that demanding, dissatisfied and disagreeable clients are not always wrong.